Looking to dive deeper into cutting edge machine learning use cases in Apache Spark? To successfully use Spark’s advanced analytics capabilities, check out The Data Scientist’s Guide to Apache Spark by Databricks’ Matei Zaharia (creator of Spark). Learn the fundamentals of advanced analytics and receive a crash course in machine learning. Get a deep dive on MLlib, Spark’s primary machine learning package and discover how to implement recommendation engines and deep learning algorithms. Raise, a leading retail payments company and the world’s largest gift card marketplace, connects consumers to buy discounted gift cards or sell their unwanted cards for cash. 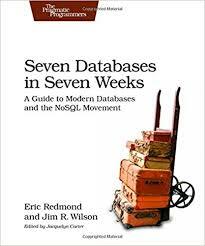 "A book that tries to cover multiple database is a risky endeavor, a book that also provides hands on on each is even riskier but if implemented well leads to a great package. I loved the specific exercises the authors covered. A must read for all big data architects who don’t shy away from coding..."